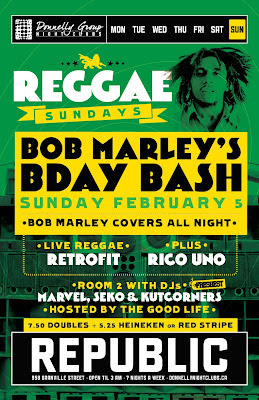 Reggae Sundays: Bob Marley Bday Bash with Retrofit Live with Rico Uno + Goodlife Sundays with the Freshest DJs — Sunday, February 5 at 9:00pm at #RepublicVancouver, 958 Granville Street. Labels: The Freshest. 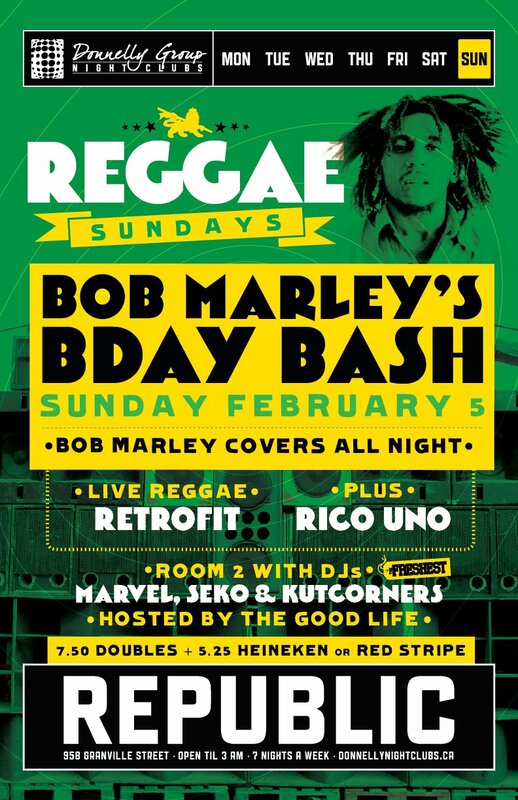 Bob Marely.